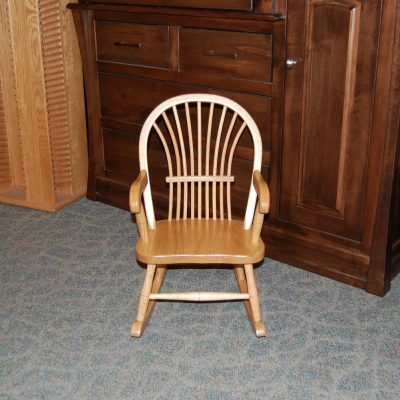 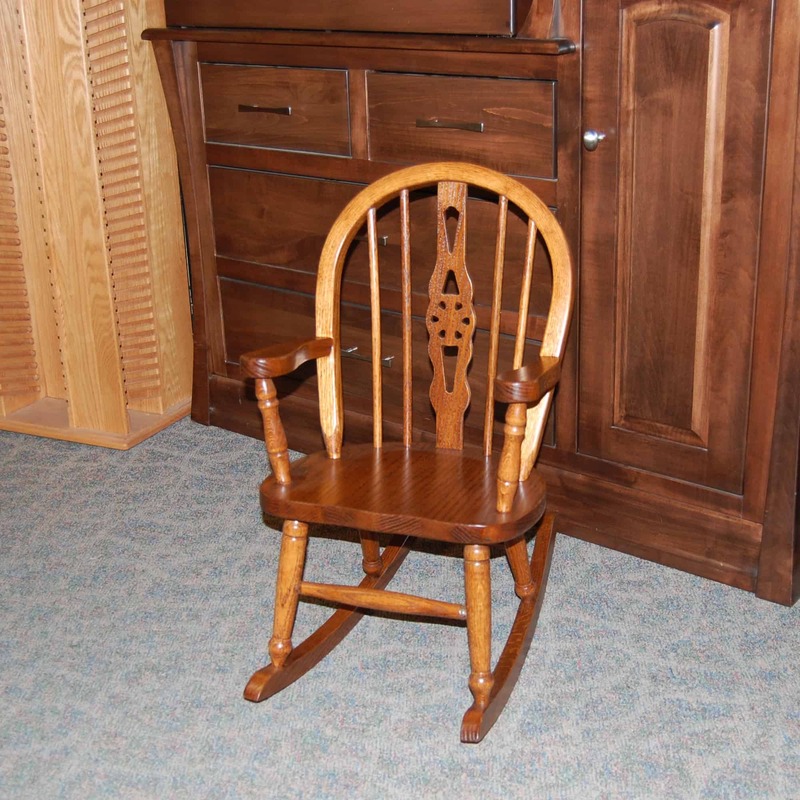 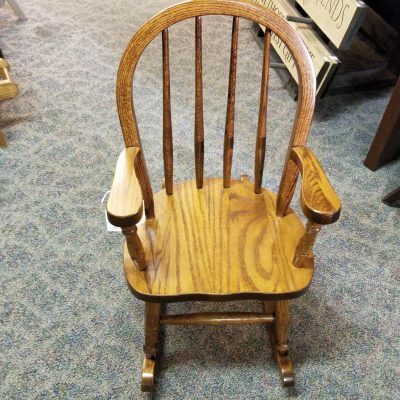 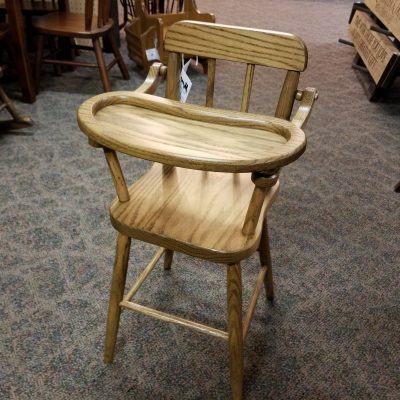 Windsor Child’s Rocking Chair, shown in Oak with a Michael’s Cherry Finish. 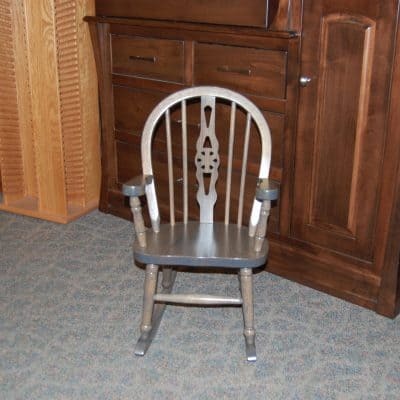 Other wood and stain choices available special order. 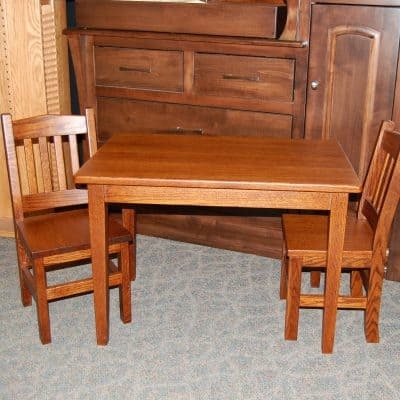 Dimensions 15″W x 12″D x 27″H.